Join us on November 29 , for the next DSA member seminar. 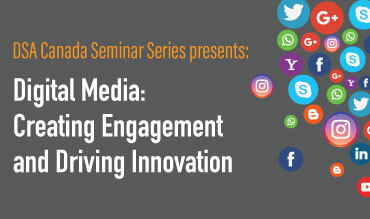 During this free event you’ll learn valuable insights and knowledge about the future of digital and social media for the direct selling industry. Alicia Whelan – Digital and social media marketing expert and speaker, Alicia Whalen has been at the forefront of online marketing for over 15 years. A digital and social media strategist for hundreds of brands, her focus is on helping clients stay ahead of the ever changing digital curve. Lindsay Tompkins – Lindsay Tompkins helps direct sellers harness the power of social media to increase their leads, sales and overall brand awareness. Her easy to understand teaching style equips Consultants with the tools they need to succeed online. She connects the dots where no other social media trainer does, making social media success duplicable for your entire organization.